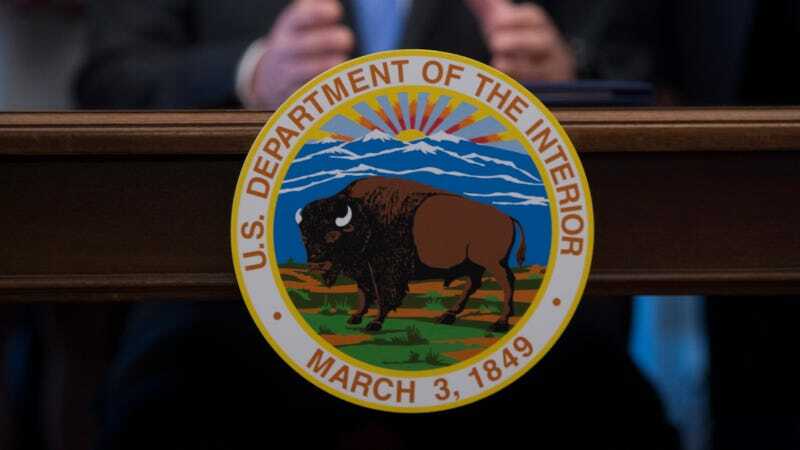 It is certainly tough to imagine that anyone working with Ryan Zinke would have a bad personality and criminal history, but bear with me for a moment as I relay the tale of Kevin Sabo, acting chief of the Office of Congressional and Legislative Affairs at the Bureau of Reclamation in the Interior Department. In a review of Sabo’s public Facebook page, Talking Points Memo found posts comparing the Parkland shooting survivors to Nazis and sharing posts that suggested the shooting was a false flag somehow involving Debbie Wasserman-Schulz. “Civil servants are guaranteed First Amendment rights to communicate their own views on their own time on their own social media sites, even if some would find those views disagreeable or the primary sources erroneous,” Bureau of Reclamation public affairs chief Dan DuBray told TPM. Sabo, who was hired in 2016 and promoted under the current administration, also has history of criminal charges, including a domestic violence-related charge. This must be very uncomfortable for the Trump administration, which would never create safe harbor for a man with a record of abuse allegations and a penchant for conspiracy theories.